Saab was founded by 16 aircraft engineers.Their spirit lives on. What they knew about training pilots inspired us to create the Saab Aero Academy, an exclusive 2-day performance-driving program that’s offered at no extra charge* for customers who buy or lease select Saab performance models. With jets in their genes, Saab can’t help but deliver a uniquely exciting driving experience, and the exclusive Aero Academy will help owners harness the full potential of their new performance vehicles. Since 1999, more than 1,200 Saab owners have attended Aero Academy at Road Atlanta in Georgia, and have taken the opportunity to test their driving skills, earn their wings, and have a whole lot of fun in the process. Bring a guest to Aero Academy and make it a vacation. Stay at the luxurious Chateau Elan Winery and Resort and take advantage of the award-winning winery, spa, and golf courses. And have an exhilarating trip. The Saab Aero Academy consists of 20% classroom time and 80% advanced handling exercises on specially con- structed training tracks. Participants go through rigorous training to learn the performance capabilities of their aircraft-inspired vehicles. In the classroom, professional racecar drivers teach vital skills that will help students drive their vehicle on and off the course. As members of the well-respected Panoz Racing School, Aero Academy instructors are passion- ate about what they do and eager to share their knowledge with new Saab owners. The autocross is the grand finale. It’s a scaled-down racetrack that gives pilots the opportunity to combine their new skills – cornering, use of proper line, braking and acceleration, and skid control-into one smooth exercise that uses 100% of the car’s potential. Participants push Saab vehicles to the limits in this safe and controlled environment.The skid pad simulates rain, snow, and ice conditions, as well as situations in which the driver has exceeded the limits of the vehicle. Participants will learn to control understeer (front) and oversteer (rear) skids with proper steering, throttle, and brake responses in situations when traction is less than optimal. This challenging exercise teaches students how to apply the brake, improve reaction time, and avoid brake lockup. Practice using 100% of the vehicle’s straight-line stopping ability. And master stopping a Saab in the shortest distance. The trail braking exercise consists of straight-line threshold braking and then turning while maintaining brake pressure.This involves eye, hand, and foot coordination in order to maintain control and to stay within the limits of the vehicle. This exercise is designed to help improve the participants’ reflexes and car-control skills. Participants will learn to manage the weight transfer of the vehicle and balanced threshold braking and practice accident avoidance by maneuvering your vehicle to the correct lane indicated by the accident simulator. Learn to improve steering techniques. Drive the correct line. Manage weight transfer. Fine tune timing and throttle adjustments. Apply the right amount of steering. And, of course, leave all those orange cones standing. Every driver needs good braking, cornering, and acceleration skills. Here, the object is to do it all while keeping a ball in a bowl attached to the roof of the car. It takes a smooth driving technique to conquer the Finesse Driving Course. The Saab Aero Academy has an impressive faculty.The instructors’ resumes include open-wheel formula racing, sports car racing, endurance racing, Sports Car Club of America driving instruction, and oval track racing. All of our instructors are eager to share their knowledge of performance driving with you.And you’re sure to get personalized attention, because the instructor-to-student ratio is 1:4. To ensure your experience at the Saab Aero Academy is truly unforgettable, Saab has negotiated a preferred rate with the Chateau Elan Winery and Resort, which is located just minutes from Road Atlanta. Bring a guest and you’ll both enjoy an exhilarating vacation, thanks to the resort’s award-winning winery, spa and golf courses. Following an exhilarating first day of driving, students are invited to relax at the Afterburner Event, which includes dinner at Chateau Elan and a tour of the Winery.Wine tasting is also included. The Inn offers deluxe guest rooms, including suites and ADA accessible rooms. Each room features a luxurious bath with oversized tub and separate shower.Wireless internet service, voicemail, a large desk and ample closet space lend a functional note. Opened in 1985, the full-production Winery is the largest producer of premium wines in Georgia, and recog- nized by Wine Spectator for exceptional vintages.The Winery has two restaurants – Café Elan, a bistro, and Le Clos for fine dining – plus an art gallery, wine market and winery tours and tastings. Chateau Elan is also passionate about golf.The 18-hole Chateau and Woodlands courses are considered two of the finest layouts in Georgia.The par-3, 9-hole walking course adjacent to the Inn is ideal for a fresh air break. The Chateau Elan Spa provides indulgent, sensory treatments to refresh and revive the body from head to toe. Located by a quiet lake, surrounded by a forested canopy of trees, emerald green lawns and flowering shrubs, the 33,000 sq. ft. Spa mansion with 14 private guest suites exudes style, serenity, and a luxuriously comfortable French-country atmosphere.The Spa’s own chef creates gourmet seasonal dishes served in the Fleur-de-Lis, a lovely dining room overlooking the lake. Road Atlanta is a motor sports facility on 700 acres in the rolling hills of northern Georgia and is the perfect driving facility for the Saab Aero Academy. It is recognized as one of the world’s greatest road courses, with top-notch facilities and a great history of racing from Can-Am to Formula 5000 to Camel GT to Trans-Am to the American Le Mans Series. Road Atlanta is a motor sports legend where the greatest names in the history of the sport have competed.Today, Road Atlanta continues to grow the legends of tomorrow.The facility is utilized for a wide variety of events, including the crown jewel of the American Le Mans Series schedule- the Petit Le Mans. Depending on conditions, participants may drive on a purpose-built autocross course, skid pad and other track paddock areas where driving exercises are conducted. Driving exercises are not conducted on Road Atlanta’s road course. 1. When you buy or lease a car that’s eligible for the Saab Aero Academy, your dealer will submit your sales information to Saab Automobile USA. 2. Upon receipt of your sales information, a Saab Aero Academy Certificate will be sent to the address on the sales record within 4-6 weeks. Each Certificate is individually numbered and tracked. 3. 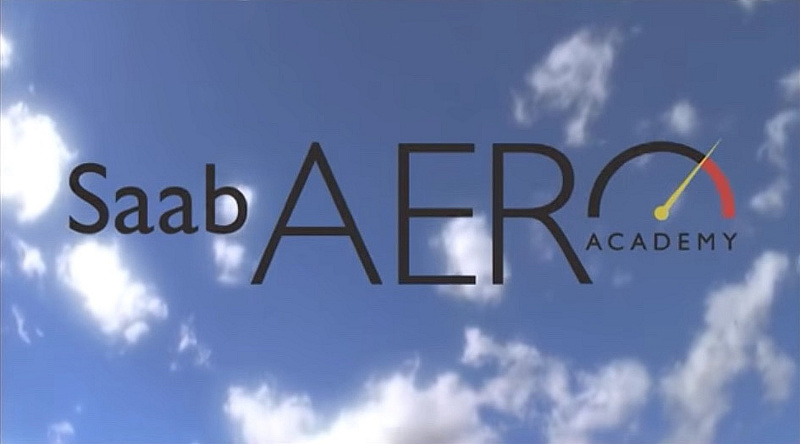 Once you receive the Certificate, you may enroll in the Saab Aero Academy by calling 1-800-456-4728, 9am to 5pm EST. Or visit saabacademy.com to register online. Please have your vehicle identification number (VIN) and Certificate available for reference when calling.You cannot register until you receive your Certificate. Airline, hotel, and car rental reservations can also be made at the same time to make your trip to Aero Academy more convenient. Frequent flier program status and miles can be accommodated when making your airline reservations. Hotel accommodations will be made at the Chateau Elan Winery and Resort. 4. Upon enrollment, a package containing detailed information and directions will be sent to you. Make sure you bring your Certificate to the Saab Aero Academy-you will need it to check in. NOTE: Participants will drive Saab 9-3 Aeros, Saab 9-5 Aeros, and other Saab models supplied by Saab Automobile USA. Participants are not permitted to use their own vehicles in the Saab Aero Academy exercises. Enrollment for one person per each eligible Saab model purchased. Offer valid for 12 months from date of pur- chase.There is no cash refund, discount, or replacement value for those unable to enroll. Owners will provide for their own and their guest’s transportation to Road Atlanta, hotel accommodations, meals, and all other activities, including but not limited to, golf and spa services.This program may be cancelled at any time by Saab Automobile USA without notice and without any liability posed on Saab Automobile USA.